The Mandalorian Sabine Is Officially Revealed! 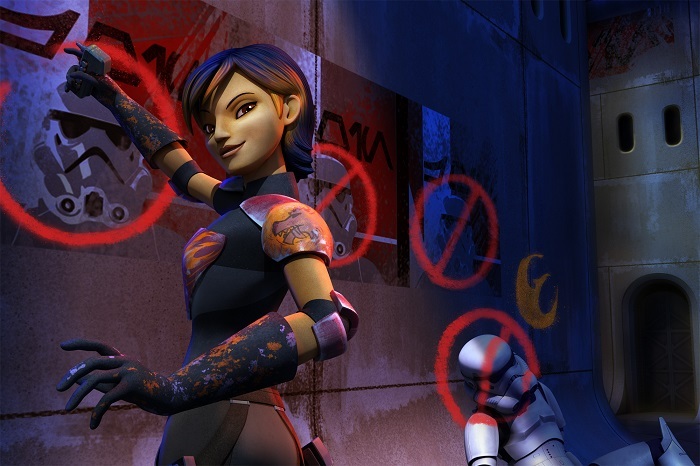 Another Star Wars Rebels character gets an official reveal, and this time it’s finally one of the show’s female leads. The Mandalorian Sabine! The Hollywood Reporter has the exclusive first look of the character, where they reveal that she will be played by actress Tiya Sircar. We also learn that Sabine is an actual Mandalorian who is a weapons expert, and is somewhat of an artist with her graffiti. 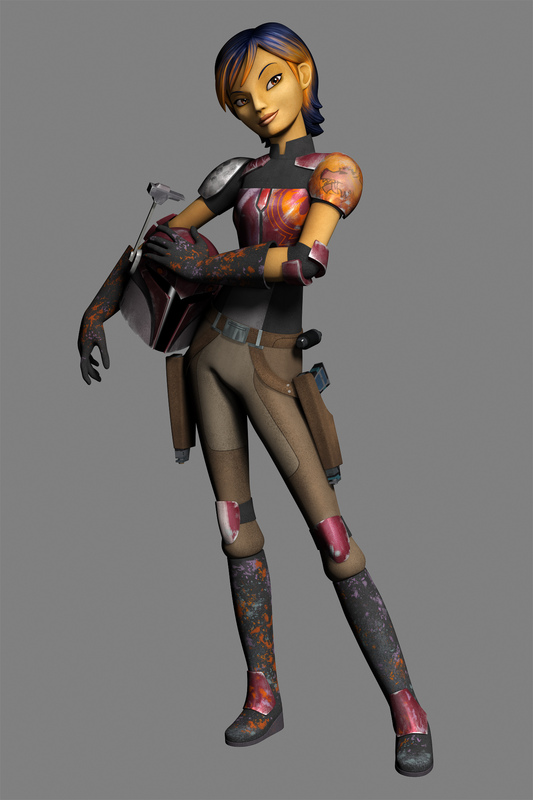 You can check out the reveal video below, as well as some more info about the character from Dave Filoni and his crew. When watching the video, see if you can spot some Clone Wars Easter eggs! Sabine was a mystery when we first saw an image of a female Mandalorian a few days ago at Toy Fair, but now after this reveal video, and while we still don’t know her whole story, she looks to be another great new character for Star Wars Rebels that I can’t wait to see more of! Before this came out I wasn’t very exited for this show, but as soon as i saw the video explaining her personality it re-sparked my interest. I give a big thumbs up to Dave Filoni for creating a interest and varied crew for the show, something I was not expecting.